The apartment is located in the historic centre of the Hague. 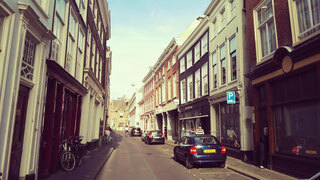 Westeinde is one of the oldest streets of The Hague. It's a 3 minute walk to 'Grote Kerk' (Great Church), 10 minutes to 'Binnenhof' (parliament buildings) and 12 minutes to Mauritshuis museum and Noordeinde Palace.